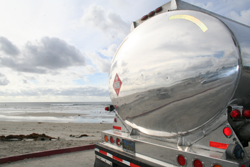 Supreme Oil Company offers a wide variety of wholesale, onsite fueling options with the capability to deliver as few as 50 gallons to as many as 8500 gallons into underground or above ground storage tanks. We offer 24-hour service and competitive pricing. Go Green - Sign up to receive information via email - from invoices to monthly statements. Get the latest in Oil Industry news here.